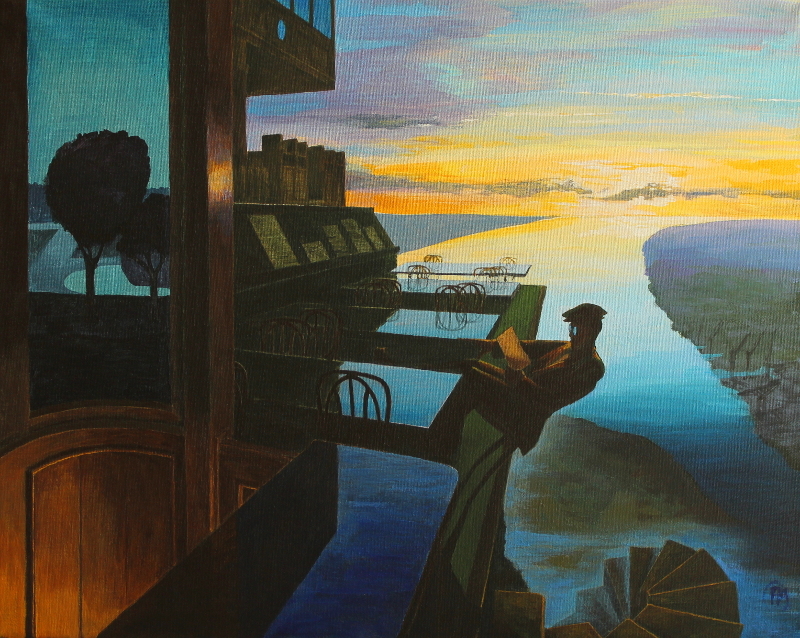 This is a painting of the silence once found in the old public libraries. It is also a picture of the fine balance required for such places to exist and the sadness that this might cease to exist.It is based on an old public library in Glasgow. One can see the unused shipyards on the river below. Prints available. Please go to reproduction prints page. 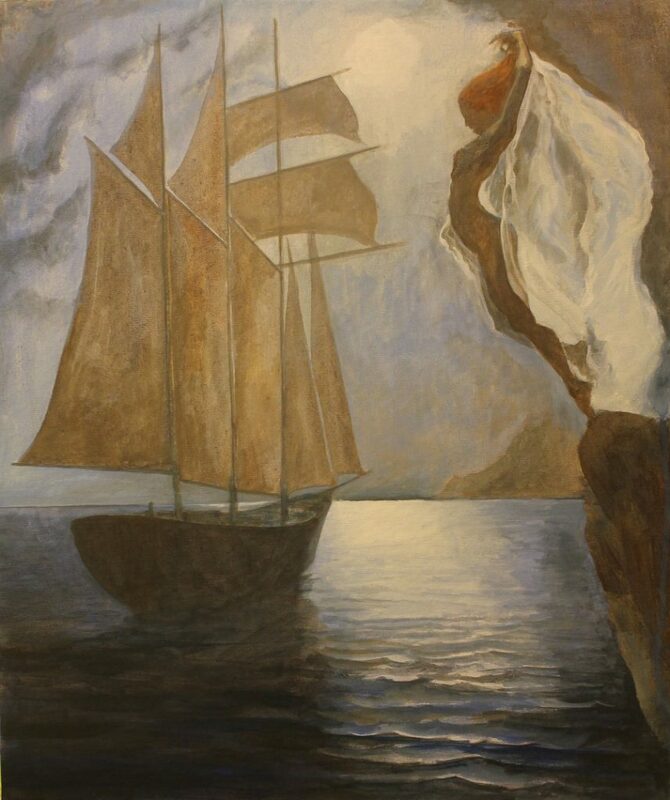 “The Flying Dutchman”, 18″ x 24″, acrylics on canvas. 2017. For sale.